The above picture shows the Grateful Dead (circa 1966.) 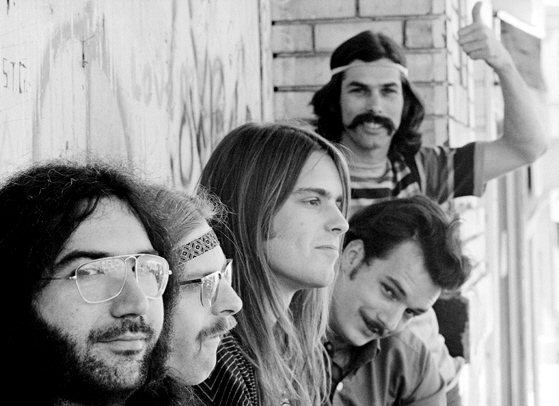 Clockwise from upper left are: Bob Weir, Phil Lesh, Bill Kreutzman, “Pigpen,” Mickey Hart, and Jerry Garcia. This article is Deadicated with Love and Peace to Jerry Garcia (on right below) and Rod “Pigpen” McKernan (on left below.) Click on links to read my tributes to these two musical legends. This is one of the most innovative and interesting albums I have heard in a long time. Mickey and his awesome band break new musical ground and show us the future of music. This album combines a variety of sounds, rhythms, and styles in a way that takes the listener on a journey to the beginnings of the universe. As expected, this CD has an infectious beat – turn it up loud and groove. 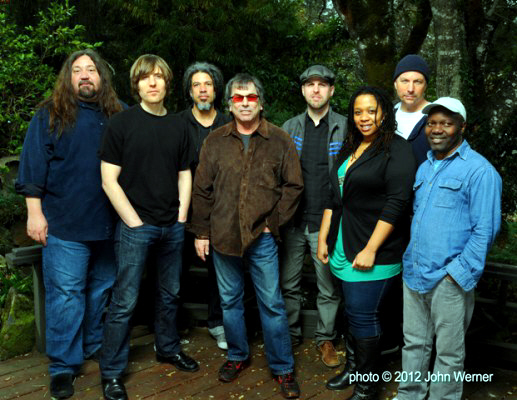 The Mickey Hart Band’s latest project will appeal to a wide range of listeners. You will find shades of psychedelic trance and new age; blended with world music and rock. As expected the album is infused with pulsating and provocative rhythm. 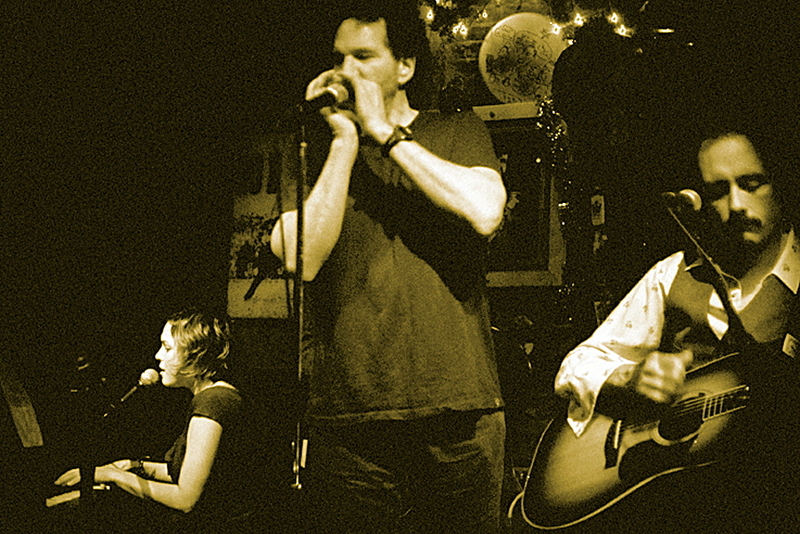 The songs embrace a wide range of tempos and styles. This album truly adopts an international and ancient perspective on music. Singing is powerful and positive. Harmonies are amazing. Songs flow together seamlessly. Just like a Dead show each songs grooves and cooks for a minute or more before the singing starts. Songs generally fade out in the same improvisational style made famous by Mickey’s partners over the years. The production and mixing are really clear and clean. Ben Yonas and the band spent months getting the sound perfect . You can hear everything clearly with no unwanted noise or distraction. This album will work well for many settings and moods. The music gets you up and moving and lets you chill out at same time. I have played this energetic music while driving or writing – it is a perfect mood setter. I also have enjoyed jamming along on my guitar or whatever percussion instrument is at hand. This is complex and sophisticated music – that remains accessible. It stands up well after repeated listenings. 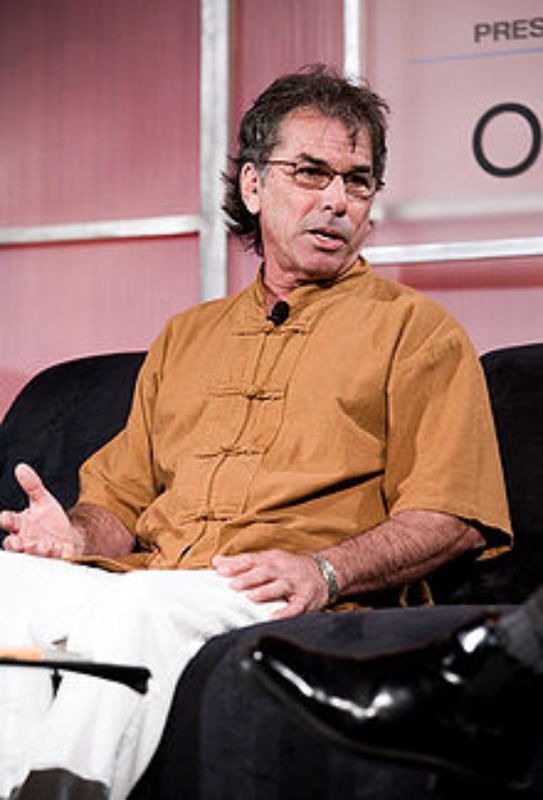 Some smart university should give Mickey Hart a position as Professor of Musical Innovation and Social Change. He has experienced so much of the counterculture and had a front-row seat to the hippie revolution. His latest project is a grand opus from a man who never stopped growing as a musician and a scholar. He takes music to the ultimate beginning of life and time – The Big Bang. In this section you will find lyrics for some of the CD’s songs that I find most compelling. Full lyrics for all songs are available from Mickey’s website (where you can also get autographed CD and record packages.) 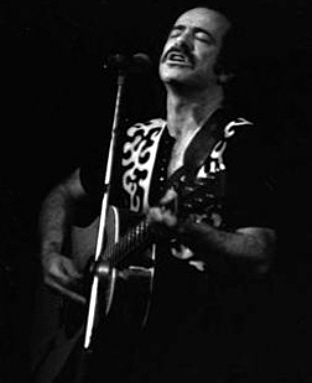 Robert Hunter who has been the voice for a movement wrote complex and compelling lyrics. This section also contains the few pictures I could find of Robert Hunter – long-term friend and musical partner of Mickey Hart and Jerry Garcia. His official site is known as the Robert Hunter Archives. This is truly a Deadesque song. I can almost imagine Pigpen singing it. Slow Joe Rain is truly an outlier who has struggled throughout his life. He used to be tough, but now seems to have been overwhelmed by a lifetime of struggling against the system. The harmonies are wonderful (reminding me of Crosby, Stills and Nash.) The percussion is particularly powerful. This song has an infectious techno-style that really cooks and builds. What force propels the shooting star? This dreamy and drifting song combines many musical elements (particularly from the Middle-East.) Crystal Hall’s deep voice is both bluesy and angelic. Djinn is Arabic, and means “genies 0r supernatural creatures.” Referred to often in Arab folklore and Islamic mythology they occupy a parallel world to ours. The Qur’an mentions that Jinn are made of smokeless flame or “scorching fire”. Like human beings, the Jinn can also be good, evil, or neutral. The Arabic root means “to hide, conceal.” Djinn can be either male or female. They would often appear wearing vests and sashes, with long hair. Jinn could exist independently or be bound to a particular object. This is dreamy world music with a powerful, pulsating beat. The vocals are soulful and sophisticated. Like other Hunter songs, this has biographical elements that many listeners will relate to. It also continues with Roberts fine tradition of songs including seafaring references and imagery. 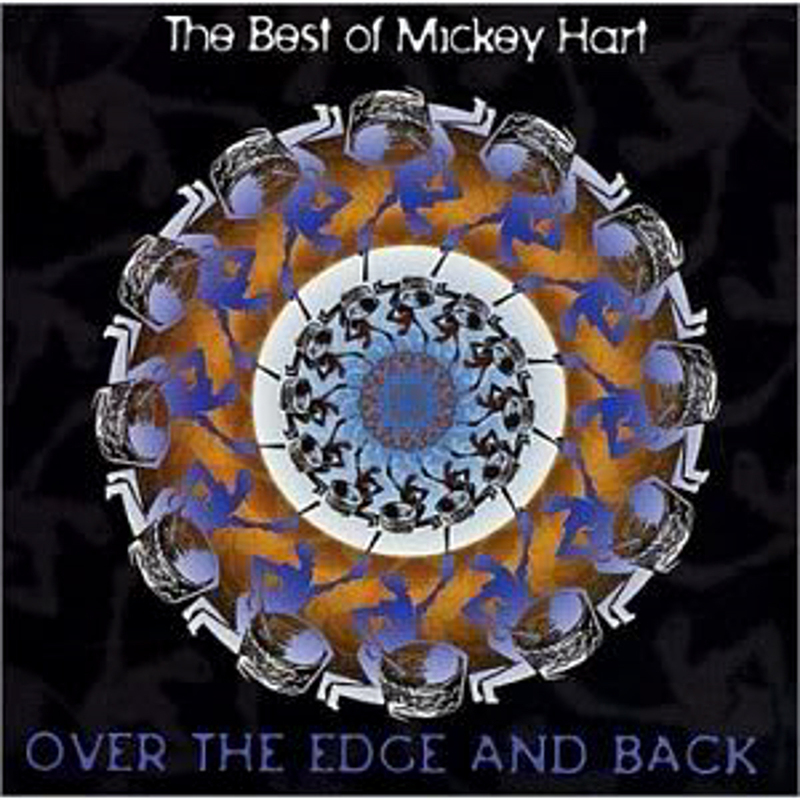 Mickey Hart wrote the lyrics for this compelling and complex track. It reminds me of the latest types of electronic pulse or trance music. Big difference is that this band includes three or more humans playing percussion on each song. The mixing and stereo effects are wonderful. The lyrics are meaningful and mystical. This song is uplifting and inspirational. Mickey’s lyrics stress the love and respect we all need to have for nature and the cosmos. Dave School’s bass parts really stand out and drive us along (as they do on all tracks.) The guitar soars – reminding me of Quicksilver Messenger Service. All these songs get more meaningful and relevant with repeated listening. 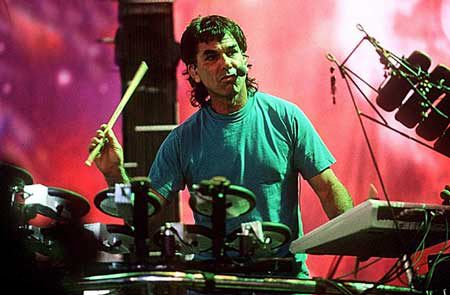 The rest of this article includes a broad overview of Mickey Hart’s current band and CD, along with some of his important and innovative scientific investigations. One of Mickey’s most important contributions involves his continuous search for an in-depth understanding of how music contributes to all aspects of human life and the broader universe. His tireless study of the world’s music led Mickey to many great teachers and collaborators, including his partners in Planet Drum. 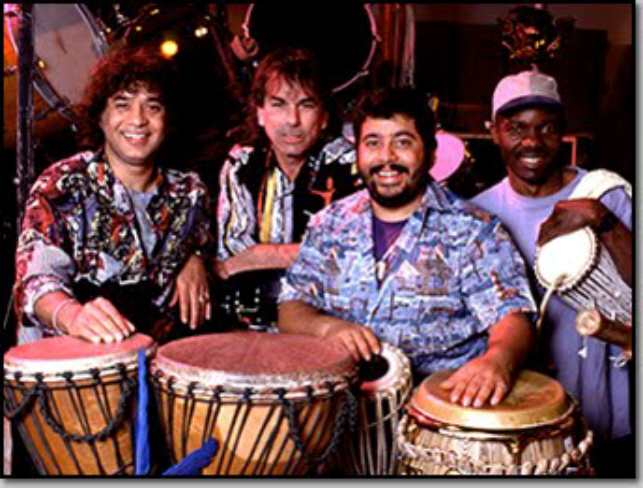 Planet Drum’s self-titled album not only hit #1 on the Billboard World Music Chart, remaining there for 26 weeks, it also received the Grammy for Best World Music Album in 1991– the first Grammy ever awarded in this category. 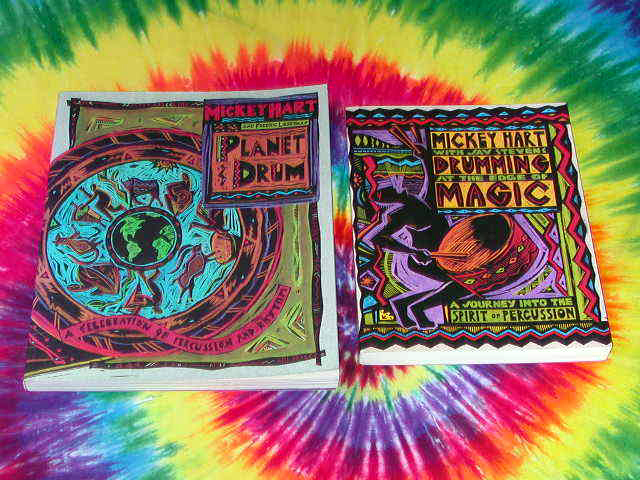 Planet Drum is one of twenty-nine recordings released on Mickey’s the WORLD series on Rykodisc. The WORLD offers a wide variety of music from virtually every corner of the globe with releases like Voices of the Rainforest from Papua New Guinea and Living Art, Sounding Spirit: The Bali Sessions. In 2002, Mickey established The Endangered Music Fund to return royalty payments from many of these recordings to the indigenous people that produced them, and to further the preservation of sounds and music from around the globe. Mickey’s experiences have paved the way for unique opportunities beyond the music industry. 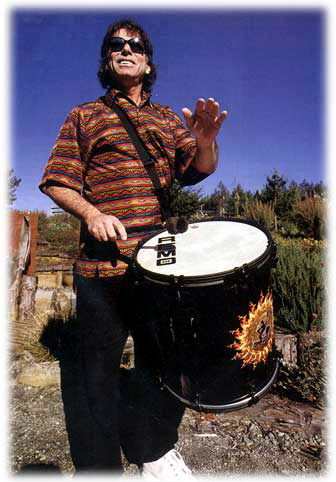 He composed a major drum production performed by an assembly of 100 percussionists for the opening ceremony of the 1996 Centennial Olympic Games. Additionally, Mickey has composed scores, soundtracks and themes for movies and television including Apocalypse Now, Gang Related, Hearts of Darkness, The Twilight Zone, the 1987 score to The AmericaÍs Cup: The Walter Cronkite Report, Vietnam: A Television History, and The Next Step. 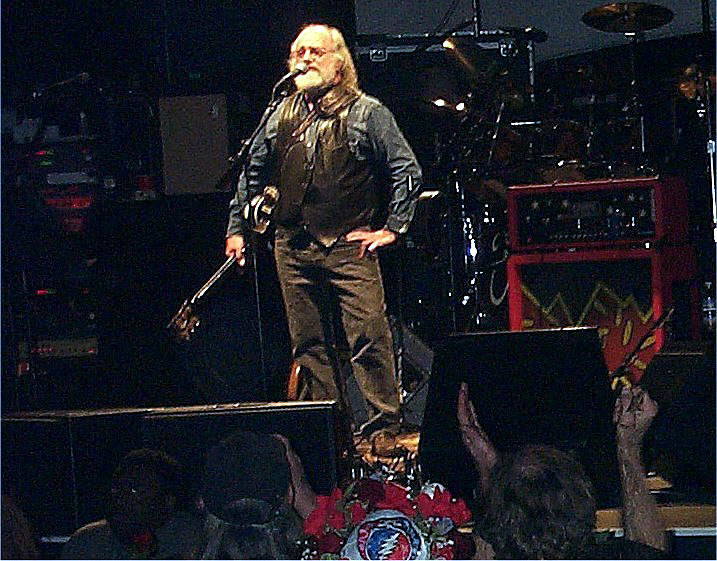 In 1994 Mickey was inducted with The Grateful Dead into the Rock and Roll Hall of Fame. 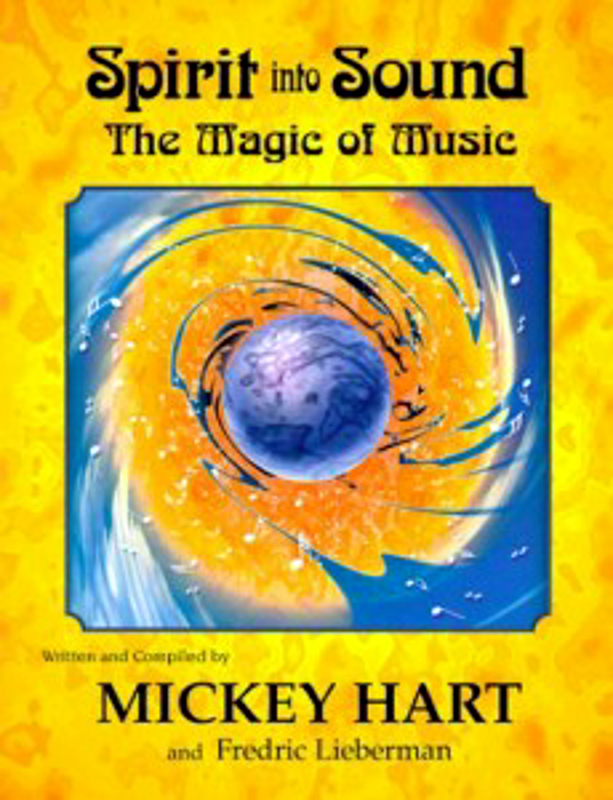 Mickey has written four books documenting his lifelong fascination with the history and mythology of music. These include Drumming at the Edge of Magic, Planet Drum, Spirit into Sound: The Magic of Music, and Songcatchers: In Search of the WorldÍs Music. Long a social activist, Mickey appeared in August, 1991 before the U.S. Senate Committee on Aging, speaking on the healing value of drumming and rhythm on afflictions associated with aging. Since joining the Institute for Music and Neurologic Function at Beth Abraham Hospital in 2000, Mickey is continuing his investigation into the connection between healing and rhythm, and the neural bases of rhythm. In 1999, Mickey was appointed to the Board of Trustees of the American Folklife Center at the Library of Congress where he heads the sub-committee on the digitization and preservation of the Center’s vast collections. In October of 2000, the Saybrook Graduate School and Research Center conferred an honorary doctorate of humane letters upon Mickey for his work in advancing the preservation of aural archives. Those who have followed Hart’s creative output know that his solo works fall roughly into two categories. Records like ‘Diga Rhythm Band’, ‘Planet Drum’ and ‘Supralingua’ are beat heavy excursions that joyfully dive right into experimenting with percussion lineages and trance traditions from all over the world while other albums like ‘Mystery Box’ are more structured and song oriented. ‘Mysterium Tremendum’ falls somewhere in between with its mixture of heavily rhythmic instrumental tracks and a selection of more conventional songs with new lyrics by Robert Hunter. Time and culture never stand still, but after so many decades of great music, the last few years have been tough for old fans of the Grateful Dead. Not to knock Furthur. They play with passion and are great in so many ways, but until they start to write and perform some new material, they are in danger of becoming viewed as little more than a nostalgia act. So, who would have thought that it would be the drummers from the Grateful Dead would be the visionaries to carry the spirit of the band forward? 7 Walkers offered the first sign of hope, and now with ‘Mysterium Tremendum’, it’s clear who’s back in the saddle, looking forward and riding the cutting edge. Thanks Mickey! But the man who spent decades on the road with one of the greatest American rock ‘n roll bands in history offers up clues that lend to the music’s vast parameters. 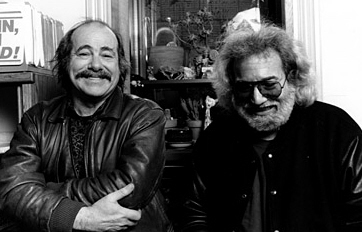 “These sounds appear from above and beyond the moon, and interdependently operate on their own recklessness on occasion.” However chaotic or calming these vibrations may appear musically, Mickey called on non-other than the Grateful Dead’s longtime collaborative lyricist, Robert Hunter, to marry words to his otherworldly compositions. “Usually when I write with Bob (Hunter), there would always be a real theme and he’d know what I was hoping to get across lyrically. He took the concepts for Mysterium Tremendum and went away to his cabin in the woods and just nailed it. 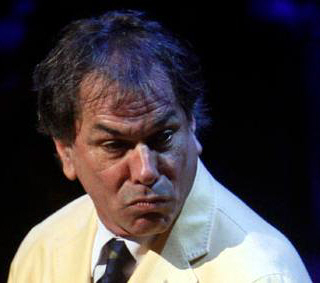 He’s so irreplaceable in my life,” Hart says warmly, “Much like the musicians I’ve created with through time. 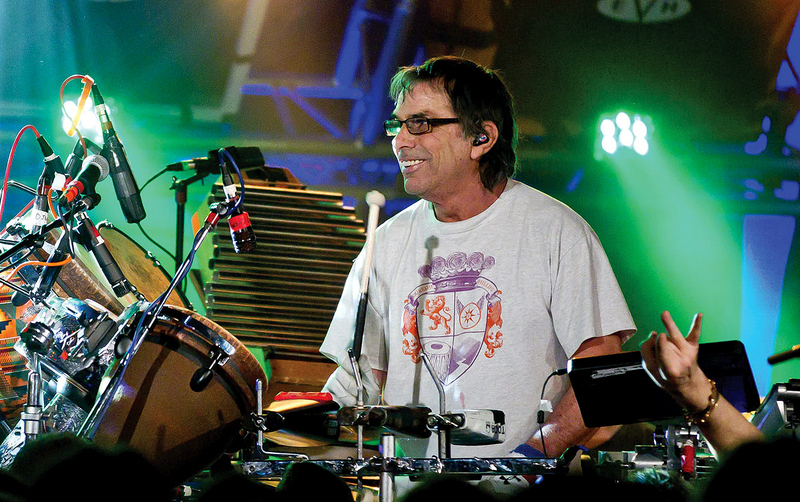 He’s at the top of his game.” Mickey Hart is not only an iconic piece of America’s positioning in the global musical realm, but he’s also a philanthropist and a believer in music’s potential to heal people. 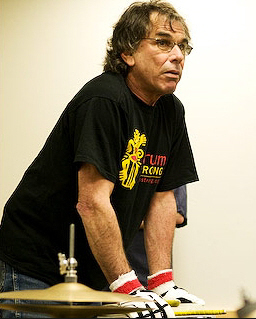 Those who purchase tickets to any of the Mickey Hart Band performances through his website, http://www.mickeyhart.net, will be making a contribution to Music Therapy Research. “Music is medicine therapy,” explains the rhythm king, “a lot of people have used it to its maximum power to help cure or ease the symptoms of everything from depression to Parkinson’s. Music is vibration(s), which effects the neuropathways and its inhibitors; it’s become a real science all its own – exploring what sounds do what.” And it’s that essence – exploring what sounds do what – that keep Mickey Hart and millions others around the world searching for the sound, even as far away as deep space. “Music is life and life is music; that’s all there is to it,” Hart offers. “Be aware of everything around you. Vibration is everything. Einstein did his best work on music; he’d grab his violin and then he’d be opened up to everything, have major breakthroughs in forming his theories and thoughts. 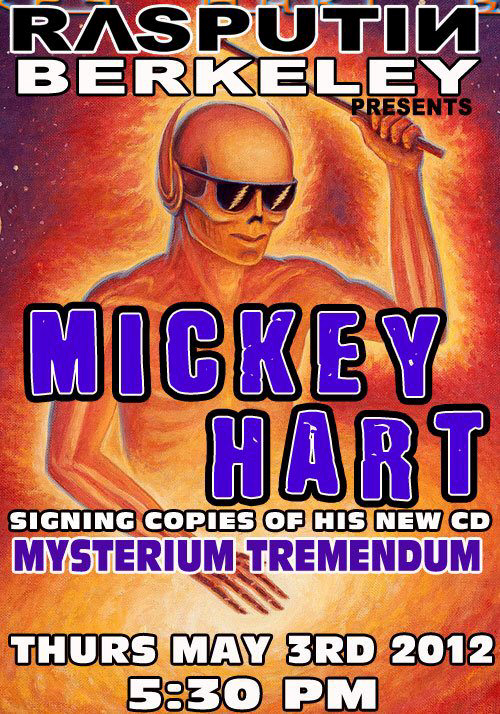 Mysterium Tremendum, the latest release from the Mickey Hart Band, has the former Grateful Dead drummer digging yet deeper into his ever-expanding knowledge and love of sound for another fine record. Hart’s merry band of musicians plays along to sound waves transformed from electromagnetic radiation given off by the sun, planets, stars and galaxies. While most tracks, including the opening “Heartbeat of the Sun,” “Through Endless Skies” and “Supersonic Vision,” have a prominent cosmic feel to them, Mysterium Tremendum is a well rounded record, both musically and vocally. 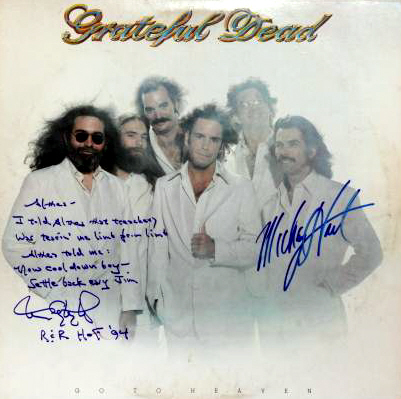 The famed Grateful Dead lyricist, Robert Hunter wrote the words on more than half of the tracks, adding yet another level to the depths of quality on this album. 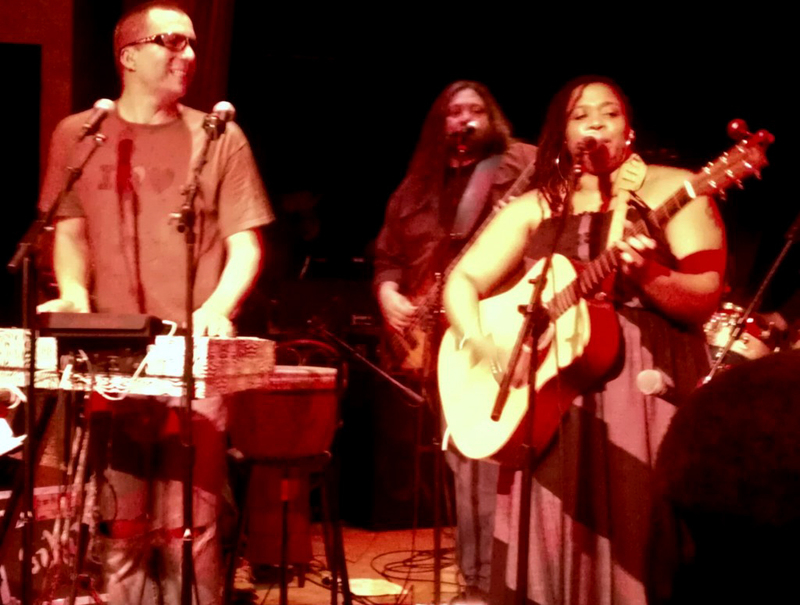 “Who Stole the Show” shines lyrically in terms of world music, almost tribal-style vocals on top of Dave Schools funk bass-line and bending guitar riffs. Hart unleashes an arsenal of percussion throughout the record, courtesy of himself, drummer Ian “Inx” Herman and Sikiru Adepoju. 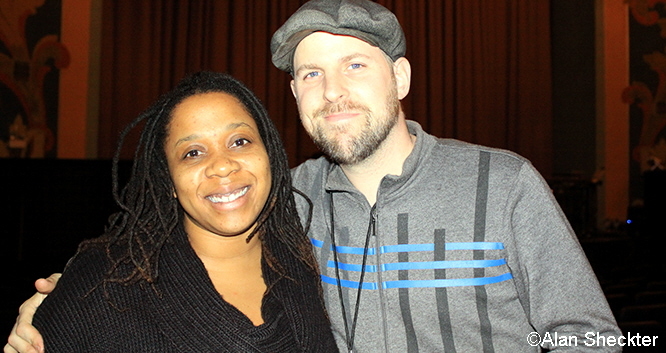 Vocalist Crystal Monee Hall bleeds romantic soul on “This One Hour” and “Starlight Starbright,” while Tim Hockenberry’s dark, whispery vocal style (a bit reminiscent of Peter Gabriel’s sound) takes command of the mic on “Slow Joe Rain” and “Cut the Deck,” the latter of which is truly a Hunter tune if there ever was one. There are literally hundreds of rhythms pulsing through the album, and not just percussion—though there’s plenty of that, between Mickey’s acoustic/electronic setup, talking drum master Sikiru, traps drummer Ian “Inkx” Herman, and guest appearances by Mickey’s other Global Drum Project mates, Zakir Hussain and Giovanni Hidalgo. MHB lead guitarist Gawain (pronounced “gow-an”) Matthews contributes a fantastic array of rhythms (and leads) with his arsenal of axes, too— long, liquid slide here, funky wah-wah there, chopped chord bursts somewhat reminiscent of U2’s Edge. 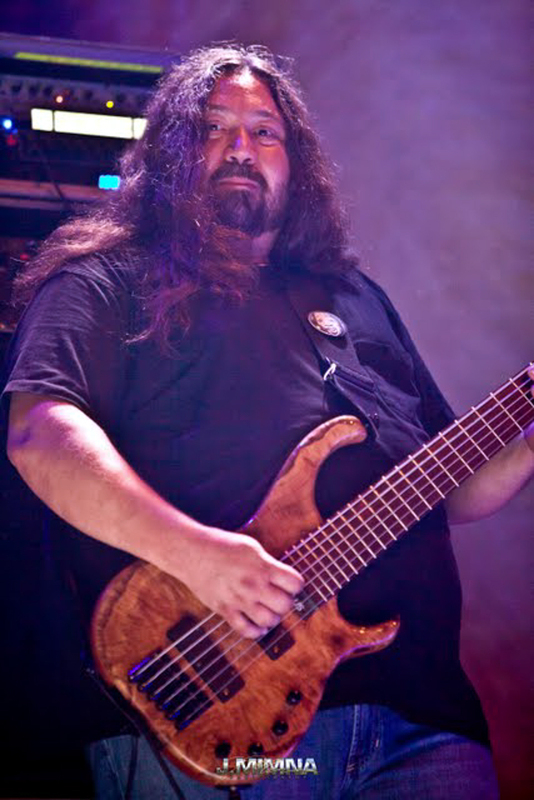 Widespead Panic bassist Dave Schools brings a dependably deep bottom to the proceedings, as well as lines that occasionally sing, and Hockeberry and Ben Yonas drop various keyboard textures into the mix. (Hockenberry also plays atmospheric trombone on a couple of songs.) Other guests include, on one song each, bassist Reed Mathis (Tea Leaf Green) and guitarist Steve Kimock (who has often played with Mickey over the years). Blair Jackson: How did you hook up with Mickey originally? As for (guitarist) Gawain, I used to live with him. I convinced him to move to the Bay Area. He’s from Wales originally, but he grew up in Utah. I was totally blown away by his playing when I met him years ago. He can really play anything and he never plays it the same way twice. He’s got huge ears. Does he sound like Jerry Garcia? No. He’s not trying to sound like Jerry Garcia. He’s just trying to do what he does. If I’m making a record, Gawain is the first guy I call if I want layers and textures. He’s one of the best studio players I know. He’s a sound designer, the same way Mickey is a sound designer. Gawain takes it really seriously. He’s turning knobs and dialing up space and all these sounds—his pedal board is the most complicated thing I’ve ever seen. From the beginning, our approach was an organic one: Let’s create a project, let’s create something that we can go out and tour and write some great songs for and shape the material together. But everything was created out of the world that Mickey built. He started the whole process, because he’s out here making music every day. He’s the hardest-working guy I’ve ever met. Fourteen hours into a day he’ll say, “OK, let’s get going; let’s work!” [Laughs] And I work hard, too, so we go to bed at 4 in the morning. 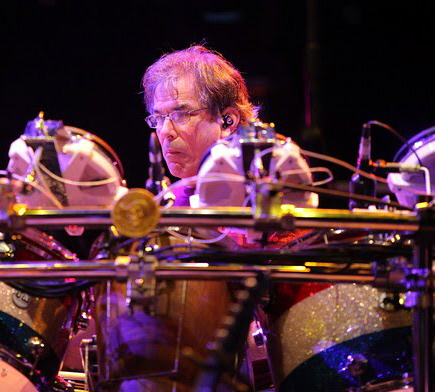 Mickey Hart: It was very important. Normally when I interact with Bob—or “Robert” if you prefer—I usually just give him the grooves and he comes up with the words. I don’t like to try to influence what he writes, because every time I try, he comes up with a better idea anyway, so I just gave up! [Laughs] In this case, though, the theme was about man and the universe, so I was looking for things that might tie into that. Dave: I’ve been helping coach people on the Dead stuff, but it’s more of a philosophical thing I’m trying to get across. I tell Gawain: It’s not how you play the lick, it’s how you approach the playing of the lick and the theme and the variation. You have to become—I’m going to make up a word here—a “meloditician”—like a mathematician, except with melody. It’s like turning on a spigot. The vocabulary has to flow like the way we converse, and it has to be done musically. It’s a poetic way of conversing and passing ideas around. I think I understand the philosophy behind this music, so when we do play Grateful Dead songs, we can approach them with the right intent, as opposed to copying it. You know, I can play Grateful Dead music until the cows come home, but I can’t play it like Phil—no one can. I like to say he’s an “un-bassist.” I’m a bassist. Most bass players don’t think like Phil. If you’re copying his licks, you’ve missed the point already. It’s about letting music play you and through you. 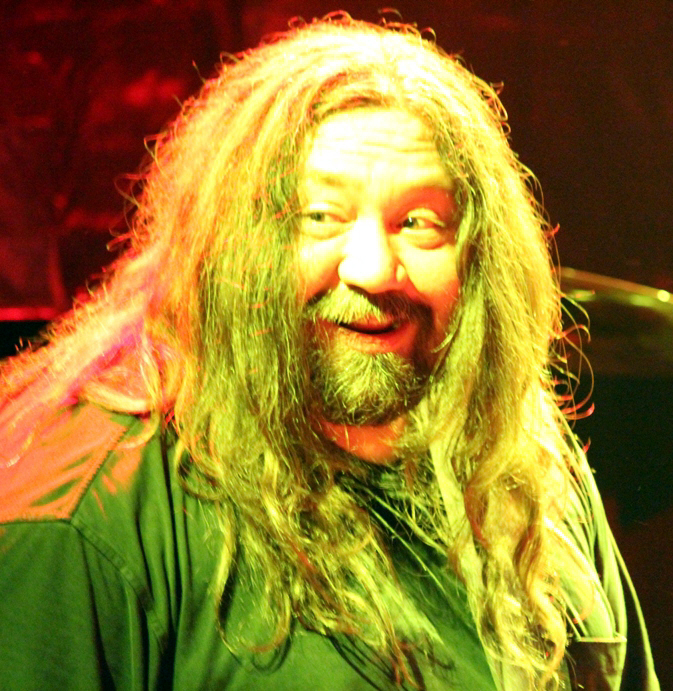 Mickey: I like playing Grateful Dead music, and I really like playing it with this group because we play it a little different. The dragon can come out with this band. They all listen really well, so they get my nuances and we lock in together. I don’t want Gawain to imitate Jerry, but there are certain things Jerry came up with that make that song that song. Even though “Fire on the Mountain” is jammy, it has certain themes that make it “Fire on the Mountain,” so you can play with that and around it. Gawain does a good job and pays proper respect, but he’s not a Jerry clone. So what we’re giving people is a different context for these Dead songs. And we’re picking songs that play to the strengths of this band. 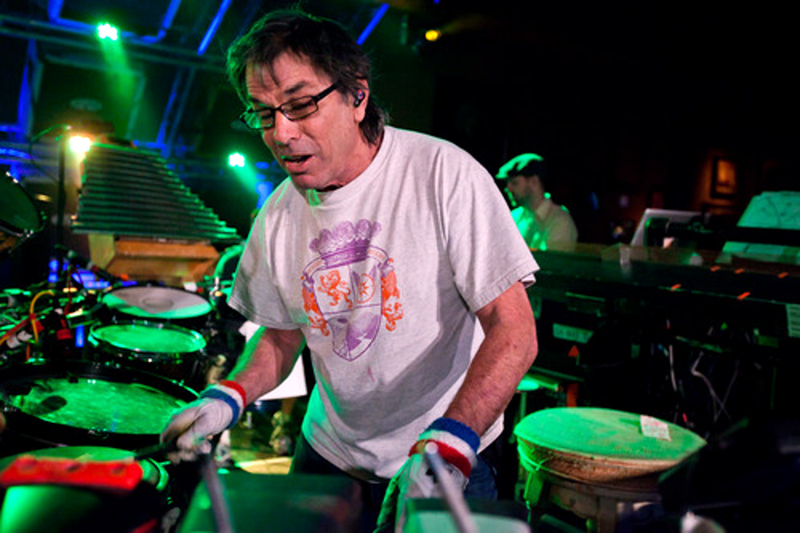 Mickey Hart’s sonification collaborator is George Smoot, who won the 2006 Nobel Prize for his work on the Big Bang, undisputedly the universe’s greatest and most seminal hit. Hart has studied sonification with a cadre of scientists, including Smoot, who Hart says are excited to document and contribute to a new physics curriculum. Hart, of course, is all about playing. He first joined the antecedent jam band with Jerry Garcia and Bob Weir in 1967, leaving for a while before returning for good in 1974. Now he is part of another coalescent. But what should this new musical genre be called? Roots is already taken and too earthen, anyway. Rhythm and blues has been established, so how about algorithm and black holes? 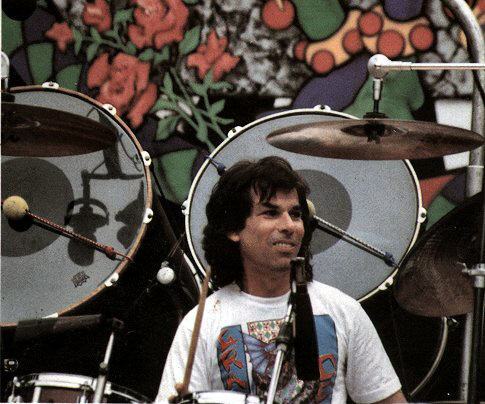 Former Grateful Dead member Mickey Hart has always been an artist identified by his progressive music, both as a percussionist for the iconic Grateful Dead band, along with his 3 time Grammy Award-Winning albums, and innovative sound excursions with his group the Mickey Hart Band. 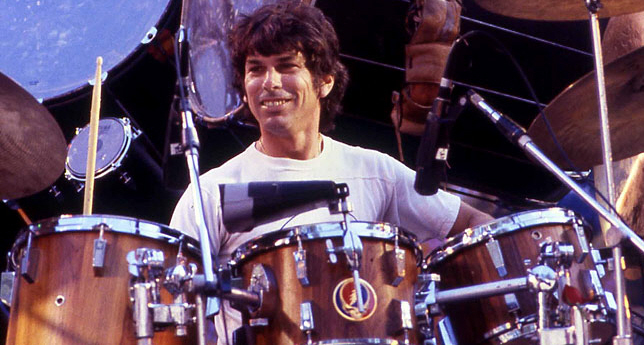 Mickey Hart and his band walked out at about 8:45, launched into the Grateful Dead classic “Samson and Delilah,” and did their best to “tear the whole building down” with thundering drums and monster bass bombs (courtesy of Widespread Panic’s Dave Schools). As the band raged behind her, Crystal Monee Hall stood front and center and amazed the crowd with a powerfully soulful voice that fit the song perfectly. In all honesty, this opening tune was the highlight of the night for me. In the past when I’ve seen Hart perform with his own bands, I have been impressed with the way he approaches the music of The Grateful Dead and puts his own distinct stamp on it. 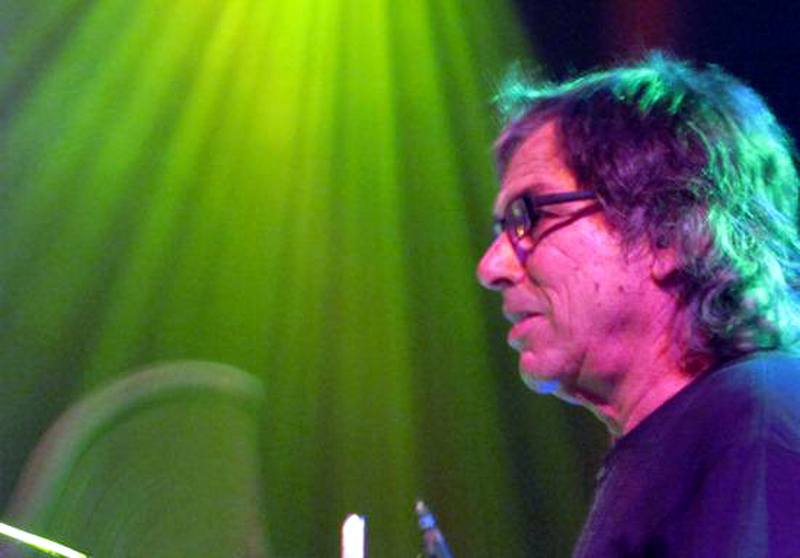 A Mickey Hart Band show is so much more than a cover band. 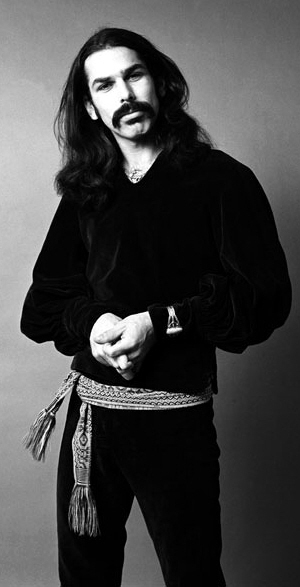 This is a man that has surrounded himself with world class musicians who all believe in musical exploration and they feel free to use the familiar canvas of songs like “Fire On The Mountain” and “The Other One” to experiment. Jerry Garcia Would Love this Band! 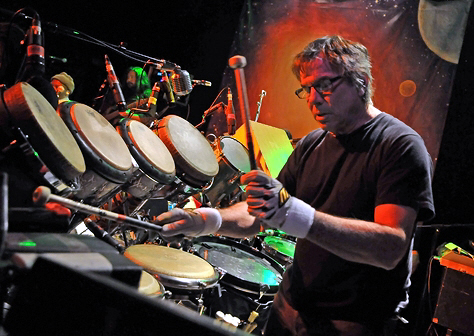 Through these formative years and throughout his legendary career in the Grateful Dead and numerous other polyrhythmic projects, Hart has always been determined to push the boundaries of his own curiosity and capabilities. That sense of adventure and courage has manifested in his latest project—an extension of his “Universe of Sound” experiments, which started several years ago and have culminated in a new band, a new album and a new tour that will include stops this August in both Brooklyn and Patchogue. Hart has enlisted long-time Grateful Dead lyricist Robert Hunter to write words for these intergalactic soundscapes and he’s also been working closely with American astrophysicist, cosmologist, Nobel Laureate (and Deadhead) George Smoot to usher this incredible vision from dream to reality. Through his multiple sonic experiments and extensive travels as an ambassador, archivist, preservationist and conduit for the “world beat,” Hart has arrived at a sincere and assured understanding of the potential role music can and should play in our collective future consciousness. 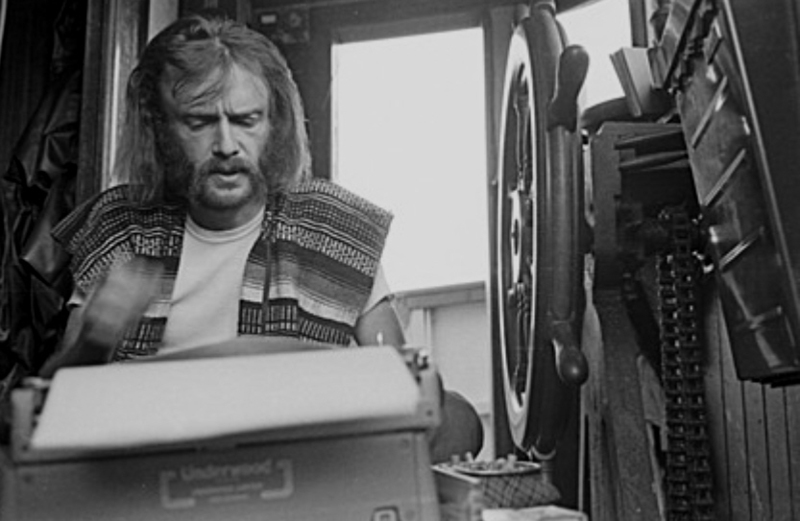 The Lumberjack( LJ): How was it collaborating once again with Robert Hunter [the main lyricist for the Grateful Dead] on lyrics? 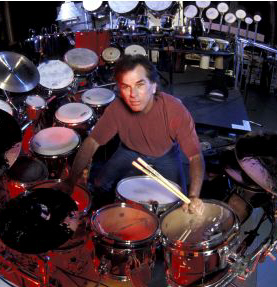 Mickey Hart (MH): Glorious. Glorious. Hunter is a genius, visionary [and] poet, and he got this project; he really nailed it. Normally Hunter and I work in a different way, where I give him the music and he writes the words. His suggestions usually are much better than the ones I’ve given him over the years. His thinking is so much more far-reaching, as far as lyrically, than I can ever imagine, so he does it all. For this particular project he concentrated on man and the universe. Once he gave me the words, then it all came together and the songs were born. What we have is improvisational music combining the celestial sounds and what you’d call world music, you know, is my music I normally play. 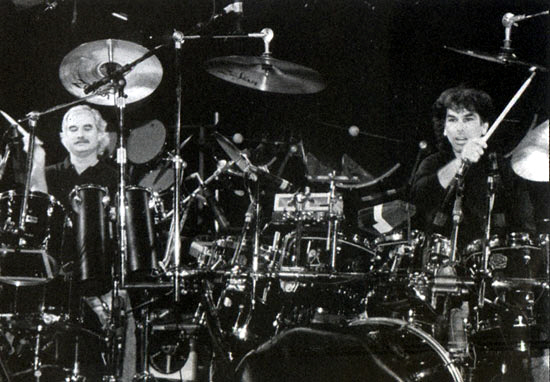 LJ: You have been drumming for over four decades now. What is it about this particular instrument that continues to captivate and inspire you after all these years? MH: Only four? No man, I’ve been drumming a lot longer than that. I think you should put that at maybe . . . 65 years. It’s the rhythm, stupid. It’s the rhythm, stupid. It’s all about the vibrational world. That’s my job; that’s what I love to do. I like to identify and play with time because of the vibratory world. Drums are the best way of laying down rhythm; nothing against flutes and guitars and all that, but drums are made, their short and sharp sound bites really leave a trail, as opposed to the other elements of music which are harmony and melody. Drums make rhythm, real good rhythm. So, that’s always been my connection through drums; I like the way they sound, but it’s not really about drums and drumming. That’s just tools; it’s about entraining with the vibratory world; that’s the whole thing behind drums and drumming and music. 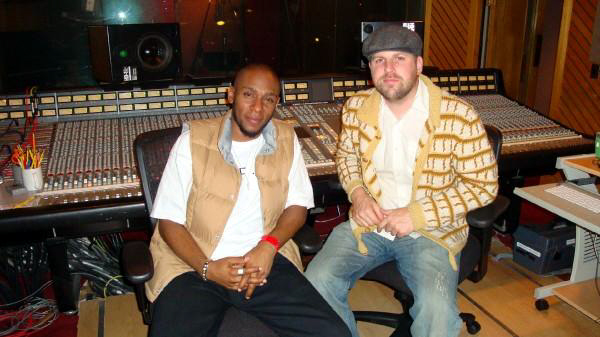 LJ: You’ve recorded musical scores for numerous feature films, television shows and events. Do one or two of those experiences stick out in your mind as being particularly profound or memorable? LJ: Through your career you’ve immersed yourself in the study of international music and percussion. You’re a noted ethnomusicologist who has helped save venerable music traditions by working with both the American Folklife Center and Center for Folklife and American Heritage. What first piqued your interest in world music? LJ: After Mysterium Tremendum is released this April, do you have any immediate plans? MH: Well, my next big project is the sonification of the Golden Gate Bridge for its 75th Anniversary. I’m sonifying the Golden Gate Bridge. I have the seismic information and I’ve started the sonification process. May 27th I’ll be performing the bridge in Crissy field, if everything goes right, if schedules work. The plan is to be there that evening to let the bridge hear its new song. To bring it into our range of our hearing, I see it as a giant landmark, now we’ll know not only what it looks like but what it sounds like. 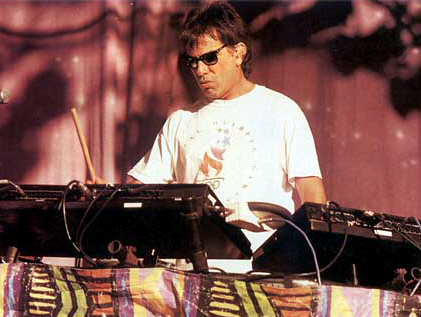 LJ: You’re donating 100 percent of all online ticketing fees from MickeyHart.net to Music Therapy. How long have you been involved with the organization and why did you decide to donate to them specifically? MH: I noticed years ago, in maybe the ‘70s or ‘80s, that music had some kind of innate energy power to stimulate people who had motor problems – dementia, Parkinson’s, autism, so forth. I had played my drums for my grandmother, who was in advanced Alzheimer’s. [Before that,] she hadn’t spoken for about a year. She said my name, and that singular event put me on to the thought that, ‘Hmmm, I’ve seen people go in and out of trance; music is a hearing agent; being able to clear those neural pathways with music and rhythm, to be able to recollect what was broken.’ Simple drum beats can do that. That’s what started it. I got deeper into it in 1991 when I testified in front of the Senate about the power of rhythm and its healing properties. Harry Reid was the Committee Chairmen at the time, back in ‘91, [and] Harry understood that there were powers in music that we needed to know about and use. So that’s how it started, and it has progressed over the years until here we are. I want to bring attention to all these skilled men and woman who are using music as medicine. They need support; they need money; they need to be honored for their skill. We need more people like hospitals, and hospices all over to make music for people to stimulate the connecting tissue that has been broken. That is my interest in Music Therapy. LJ: You are a member of a Rock And Roll Hall of Fame band, you have won multiple Grammies, you have been involved with a rich and eclectic mix of musical projects and you’ve carved out your own little piece in music history. Do you ever stop to congratulate yourself or are you too busy enjoying the ride? MH: You can’t look back. Well, you can, but only briefly. It’s not what’s back there; that’s already done. It’s what’s here and out there, not back. The grand plan, there is no grand plan, and that’s what makes the open road so much fun, to be able to go where your bliss takes you. Wherever your heart and passion is, being in the Grateful Dead has been a boom in that respect, because I was able to do anything, still am, that my creative spirit allows me. I was actually encouraged by the rest of the band on all those projects. 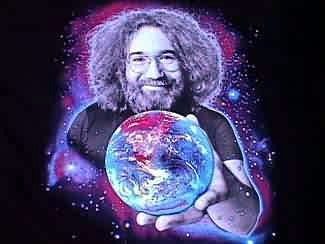 Jerry was with me in Washington, Bobby and Jerry went to rainforests, wherever it takes us. So now I’m here. And I’m going there, out there now. It seems like that’s what I’m here to do right now. 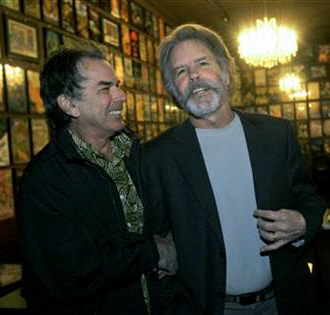 Before launching a national tour, Hart sat down with Rolling Stone at his studio in Sonoma County, California to discuss why – while he misses the “brotherhood” – there could never be another Grateful Dead. 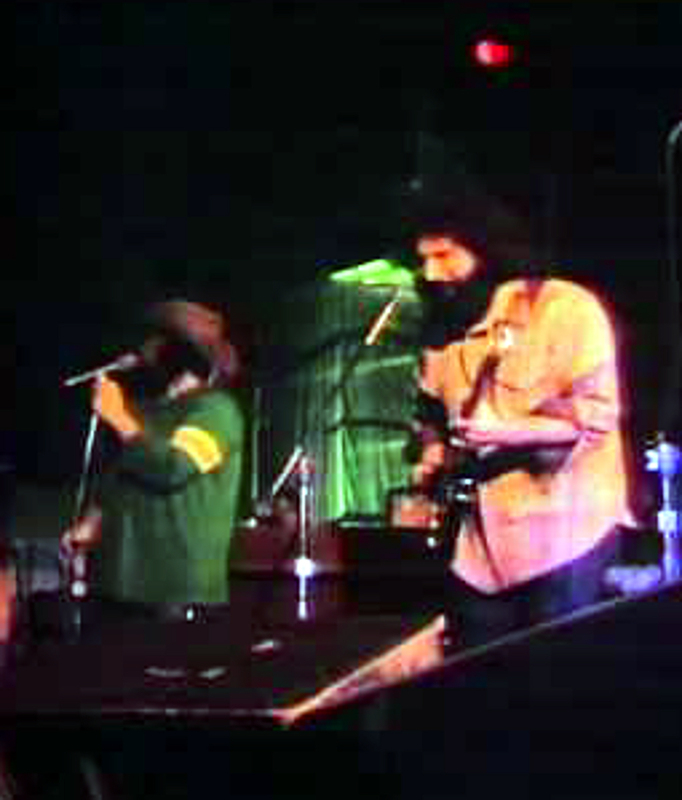 Do you ever feel burdened by the pressure to still play at least a few Grateful Dead songs every time you play live? I don’t feel burdened at all – I birthed this music! These are my babies. And certain songs really play well into this band. Not all of them. The sensibilities just aren’t the same as the Grateful Dead. But there are certain songs that this band could just completely kill, and so we slowly bring it into the repertoire. 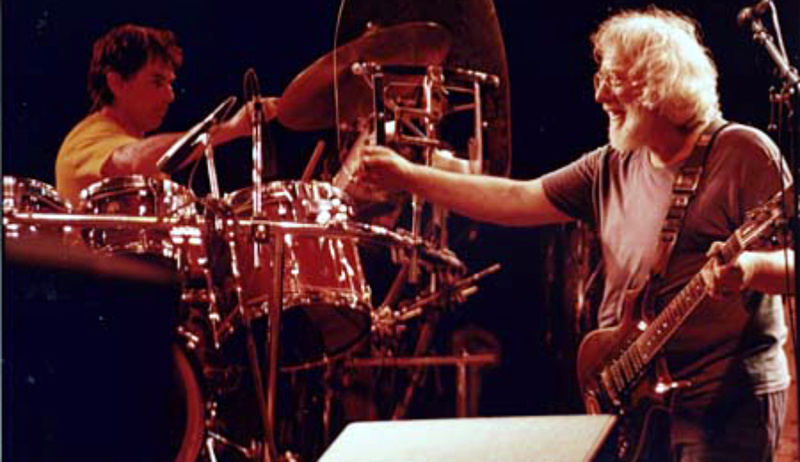 And I love playing Grateful Dead songs the right way – the way I think the energy should be. This band doesn’t really know about the Grateful Dead. This is wonderful. They don’t have to copy Jerry [Garcia]. 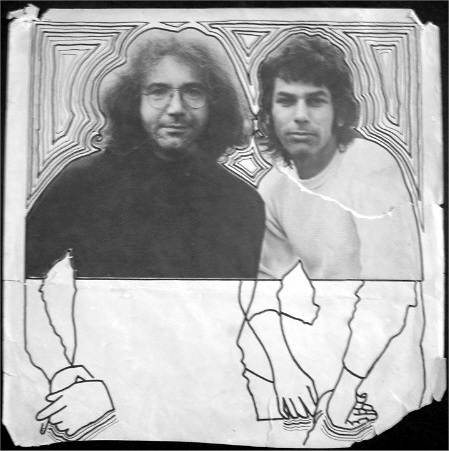 We don’t have a Jerry clone or a Phil [Lesh] clone or a Bob [Weir] clone – God forbid. There can’t be two of them! The Grateful Dead still release so many archival concerts. 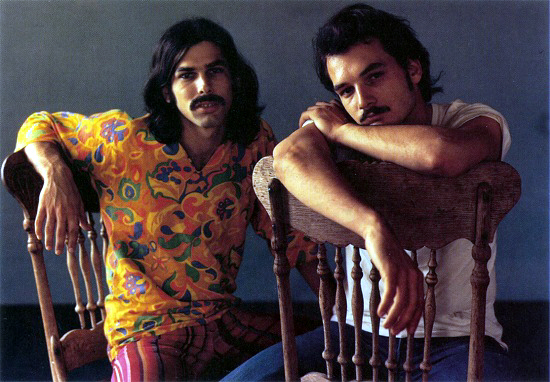 Archivist David Lemieux said that he doubts anybody in the band actually listens to the finished CDs, but your band-mate Bill Kreutzmann told me that he personally does. Do you? No, I don’t think we really listen to them. Mostly. I’ve already done it and it’s in the past and it’s for everybody else now. It’s like reliving your artwork. Looking at your artwork over and over again. I’m moving on to the future. I’m trying to become a better musician. Because when I hear us, the Grateful Dead, I hear a lot of mistakes, things I would’ve done better, this or that. Every once in awhile I’ll listen to it, sure. But it’s not something that when I get a new release I go to the speakers and listen to it. Like I say, it’s for everyone else to enjoy, take with them and do good stuff with it. What do you think it is about the Grateful Dead’s music that makes it still so important to so many people and still so relevant today? Well, I think it’s a combination of who we are. That’s one thing. 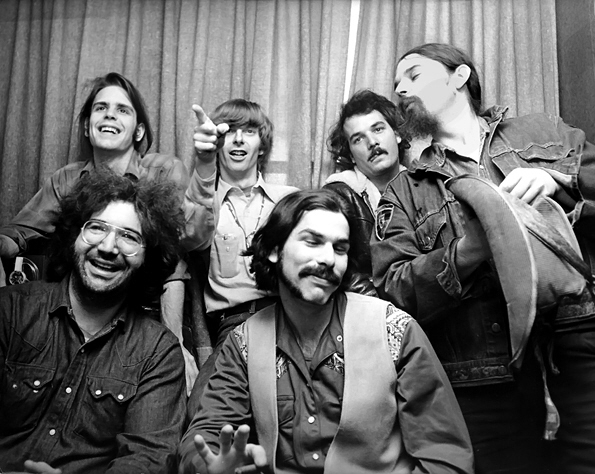 I think it’s also the passion and the energy and the commitment that we made to the Grateful Dead. The Grateful Dead was our life. It was part of our DNA. It was like a mission from God . . . It seemed like destiny. I don’t think there could be a Grateful Dead now. I mean, considering the laws of the country. We were a bunch of outlaws running about the country, ingesting psychoactive drugs, playing this amazing music from another time and space. So we were exploring a new musical topography. It would be really hard to get away with that these days, especially going through airports and everything – borders. Let’s think about the reality of being the Grateful Dead: We weren’t a Girl Scouts troop. So it had its dangers. But the upside was more than the dangers of being in it. And everybody loved each other. There was a real love and respect and community within ourselves and we knew that we were doing good things, and we knew that we were certainly uplifting our consciousness and certainly uplifting the people that were in this sphere. In a way, it was a social experiment, and so it was a duty for us to do this to get people high. To go to places where they needed our juice, our sound, to make a better world, to create more kindness. 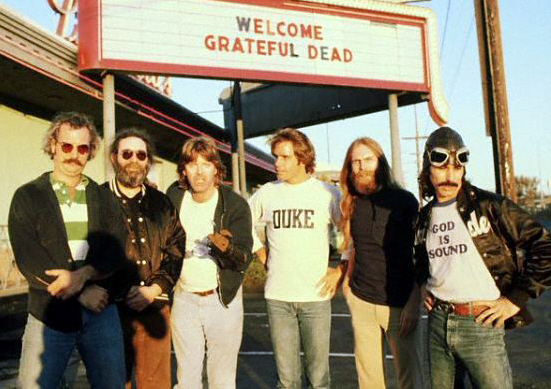 The Grateful Dead were very kind. 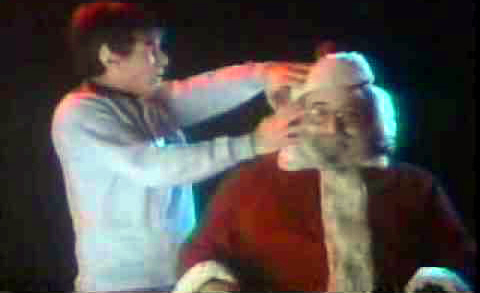 It was Santa Claus. It did good things. It allowed other people to benefit. The benefits that we played were enormous, and we played free. So you’ve got a band that loves to play free, and that was a wonderful thing. We played free so beautifully because we didn’t owe the people anything, so we just played out of our heads, and we just played whatever came into our heads and into our soul. There were very little restrictions. People didn’t blame anybody for making a mistake. There was no such thing. No one got yelled at when they got off the stage. Most of the time we never even talked about the music. We’d get into the van and we were talking about anything, but not normally the music. That’s magic, and it’s really hard to talk about something that’s invisible. And music is invisible. You can’t see it. You can’t touch it. You can hear it and you can feel it – you can be touched by it. The way you still talk about the Grateful Dead, there’s a lot of heart and soul in it. Do you miss the band, on a day-to-day basis? If Jerry Garcia had been able to clean up his act and get healthy, do you think the Dead would’ve continued, even if they had to take a break for a while? Yeah, I do. I really do. I think that if the organism was healthy and Jerry was healthy – which was very important, because he was a guiding light. He really was. And his guitar said more than just a note. It was not just a note, it wasn’t a song, it was some kind of passion and meaning that was quite deeper, and that’s why his sound was so special. There were many times during our career when he could’ve quit and done something else. But he knew that his power was with the Grateful Dead. He didn’t want to go solo. Jerry was a groupist. He loved to group. And with mutual respect, ultimate total respect, for each other. Which I still have, totally, with everyone in the band. It’s just now we go our own ways, we explore our inner orchestra and find out what our dreams sound like. We know what the Grateful Dead music sounds like. We’ve done that. I speak for myself. I mean, you can reinvent it and reinvent it forever. And I like to do that too, sometimes – and I do that with this band. But we’ve done it. Hart also is recording the sounds of the Golden Gate Bridge’s movement for the structure’s upcoming 75th anniversary. “You can understand data by perceiving it another way,” Smoot said. “Mickey’s creative and he gets excited about this stuff.” In his work with the Gladstone Institutes, the Sonoma County resident hopes to go from the vast matter of space to the vast molecules of inner space. “These are great mysteries worth pondering,” Hart said, adding that there is a lot of anecdotal information about how music can stimulate some people to better health. “When rhythm and vibration are put back into the system, we know it works, but we just don’t know how. 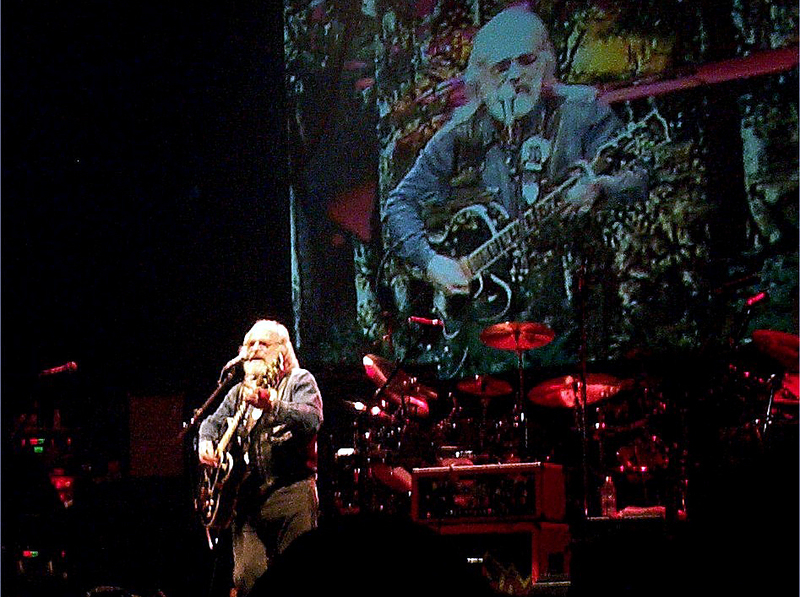 I’d like to start this blog with a confession, I’m a Deadhead—and as such, I have very strong opinions on all things related to the Dead, that may, or may not, have any basis in anyone’s reality except mine. 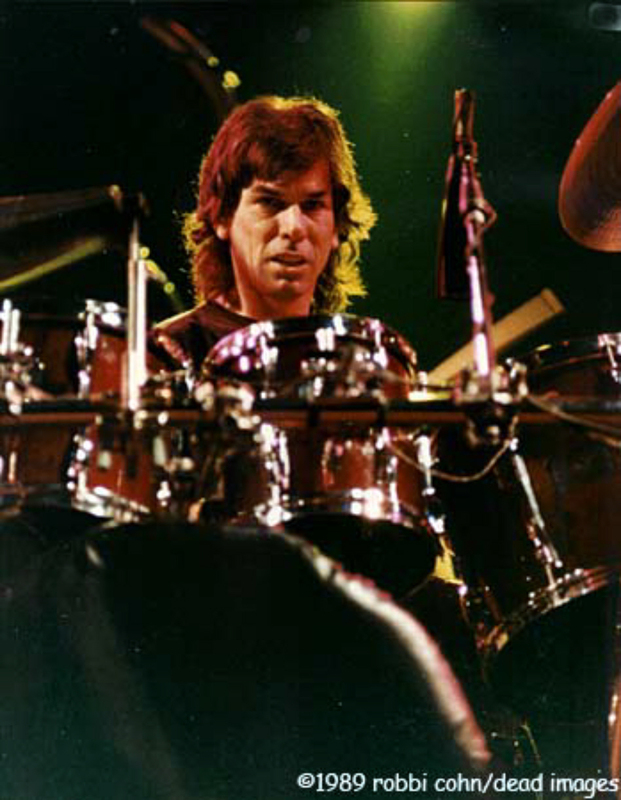 That said, my experience was that behind Jerry Garcia, pushing constantly into new space, was Mickey Hart. Infamous for being one of the two drummers of the Grateful Dead—Hart tapped into something in the late 1970s—while he was playing the infamous Beam—that propelled the Dead into even further corners of deep space for the next twenty years. At a time when the drums sequence of a show meant that the legion of fans stepped to the hallways to take a bathroom break—Hart reenergized that segment of the show with talking drums, master percussionists and an impassioned playing. Something was taking place, and it was if, Hart had dialed up the universe on the drums and was having a public conversation in which everybody who was still listening could add their two bits. 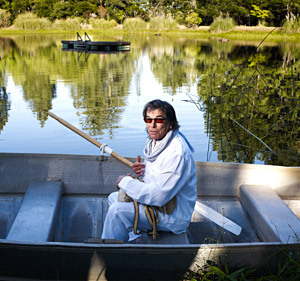 Hart is, and always has been a pioneer in sound, championing the rarely heard music of indigenous cultures, and synthesizing his own weird mix of tribal fusion. On the phone, Hart comes across as a renegade from another dimension, interspersing his language with statements that sound as if Spock said them. Take for example, “I’m trying to fill in the timeline from the beginning of creation—sonically speaking.” What this means to us journeymen is that Hart has something very special planned for us on this tour. From his treks across the globe that were preserved in a 25 disc release by Smithsonian Folklife (an imprint of the Smithsonian Institute), to his recent recordings of the Golden Gate Bridge that will be played during the 75th anniversary on May 26th and 27th, 2012, Hart is a man in motion. The new band is eclectic and electric combing members of the Bay Area music scene and the sounds of Pulsars, Quasars, and the seminal big bang into an alchemical version of musica universalis. Kicking off the tour in Santa Cruz at the Rio Theatre this Thursday—it’s going to get weird! This is not for everyone. We’re going into new space here. Literally, new space—it’s a new musical topography. Dancing with epic events from our ancestory—what makes this show really special is dancing with the sounds of deep space. Not a science fiction version, not some Twilight Zone—interacting with sounds that emanate from the beginning of space, some 13.7 billion years ago. Those are the seed sounds that blew us into creation. I use science in my art—we all do with computers, and so forth. Musicians in the last twenty years have started to use science. Music itself can be looked at as science being made up of vibrations. And music and vibrations all come down to math and mathematical formulas. The light and radiation that comes to us from these incredibly distant celestial objects that is picked up on radio telescopes on earth. The radio telescopes read it as light waves and then I change that into sound—it’s called sonification. I take that and sound design it and make it into art and music that we can share with whole earth music. That’s the kind of music we play on this planet—whole earth music. Anything heard between us and the moon, or sub-lunar, I call whole earth music. This project has little to do with sub-lunar sounds. I do sample the radiation coming from the earth and use that in composition as well. I’m trying to fill in the timeline from the beginning of creation—sonically speaking. The history of the sound of the universe—sonically. I’m taking different events in the universe not a full chronology. 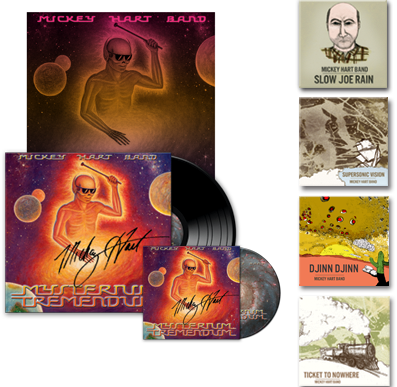 The Mickey Hart Band, a new group fronted by the former drummer for the Grateful Dead, offers a solution to getting your groove back. 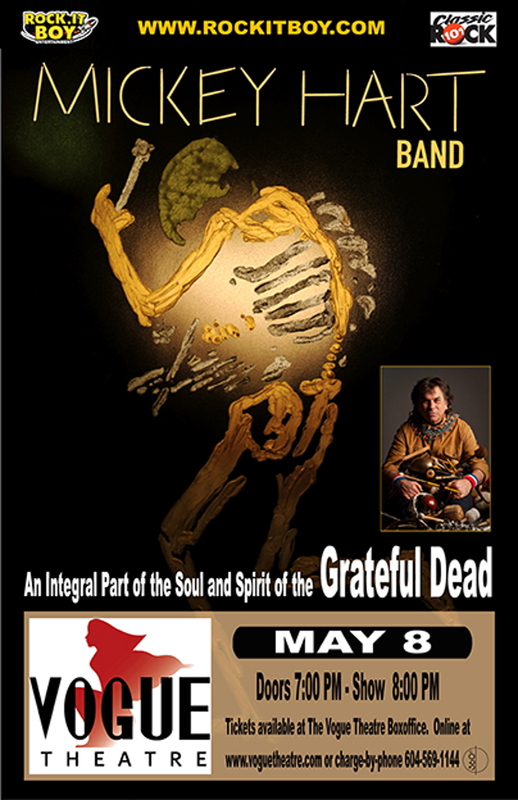 The band combines an uplifting spirit with complex polyrhythms, performing both Grateful Dead songs and originals, many of the latter co-written by long-time Dead lyricist Robert Hunter. 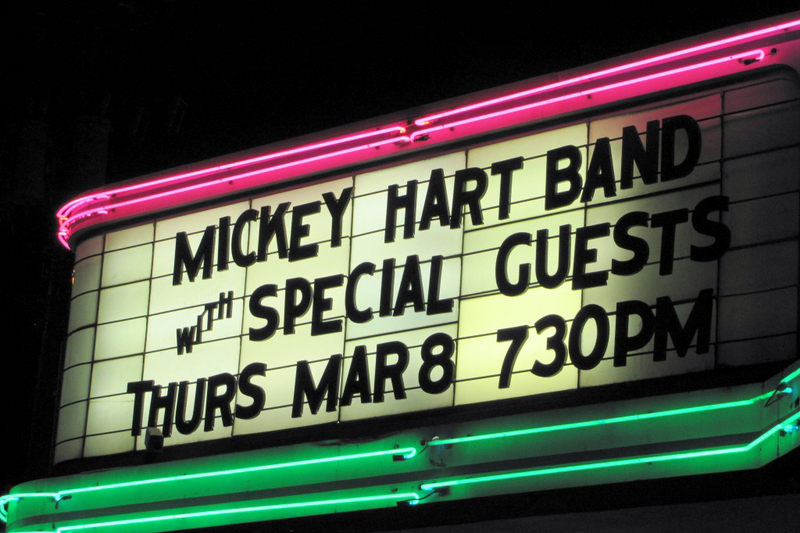 The Mickey Hart Band has two lead singers, but the music centers on long, improvisational excursions that entrance and carry listeners on a musical journey. For three years, Hart has been working with NASA and the Lawrence Berkeley National Laboratory to convert light waves that originated with the “Big Bang” origin of the universe. The signals come from radio telescopes all over the world. Light waves, much faster than sound, are converted into sound waves, a process called sonification. Hart says, “I then feed them into my computer and sound design them into music. 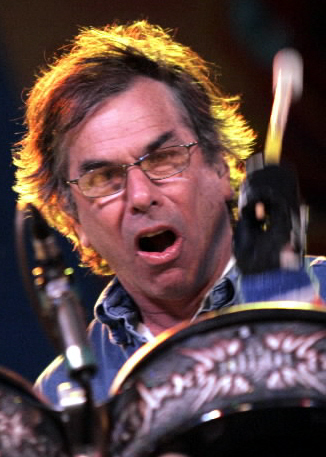 A lot of [the raw material] is just noise.” The resulting sounds and rhythms are used in the Mickey Hart Band. Hart’s books “Drumming at the Edge of Magic” (1990) and “Planet Drum” (1991) describe the history of drums in cultures around the world, and tell how music and rhythm can be used for healing and spiritual transformation. He believes that music therapists are now beginning a revolution in the treatment of Alzheimer’s and Parkinson’s diseases, autism and other conditions. 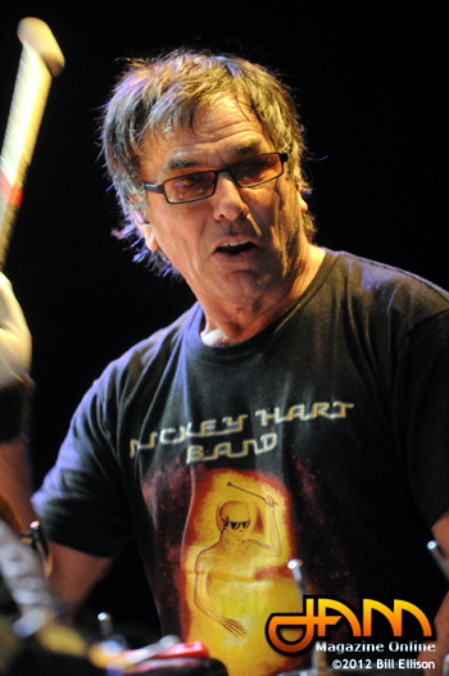 Hart has been involved with world music for years, although he is not fond of the term, insisting, “There’s no such thing as world music.” He won the first Grammy ever awarded in that category for his “Planet Drum” album in 1991. 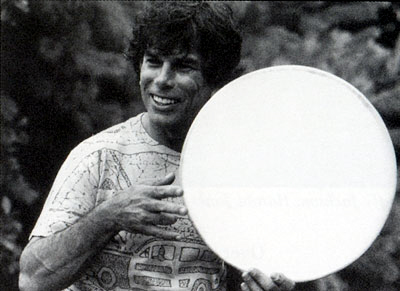 In October, Smithsonian Folkways Recordings re-released the “Mickey Hart Collection” of 25 CDs (the original recordings were on a variety of labels). They include chants by Tibetan Gyuto monks, songs of Great Lakes Indians, songs of rainforest people of South America and the Caribbean, and other endangered music. 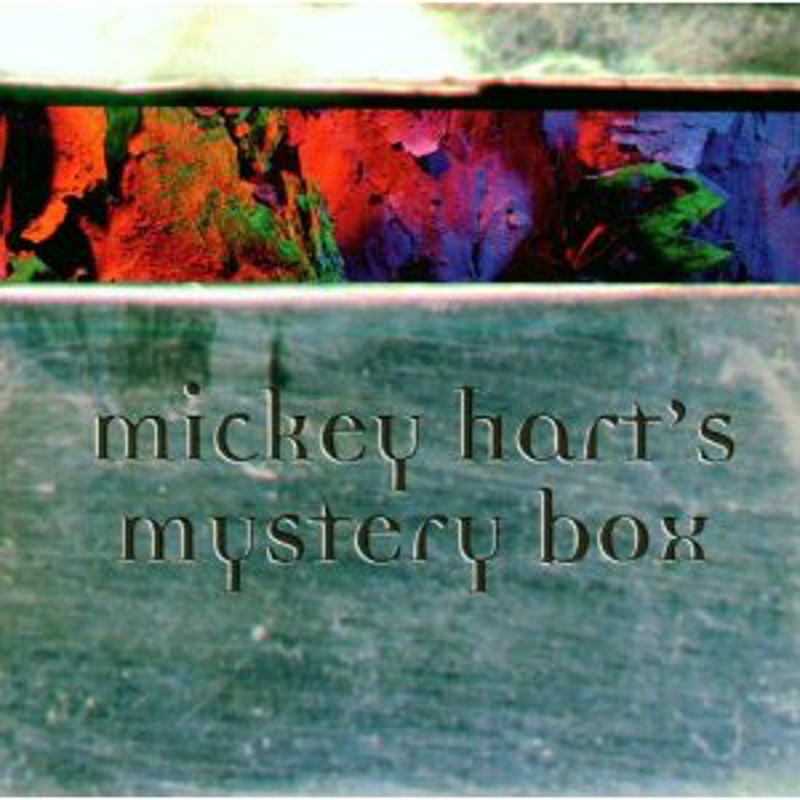 Other CDs include “Dafos,” Hart’s collaboration with percussionist Airto and vocalist Flora Purim, and the soundtrack for the film “Apocalypse Now,” which Hart composed with fellow Grateful Dead drummer Bill Kreutzmann. Hart donated his entire collection to Folkways, so many more releases should follow. Hart says that for centuries, music has been taken away from people as a means to subjugate them. “The church took away their music and gave them a Bible and polyphony,” he says. In his books he describes how drums were forbidden to many Africans after they were captured for the slave trade. “Taking away a culture’s music is cultural and spiritual genocide,” he says. 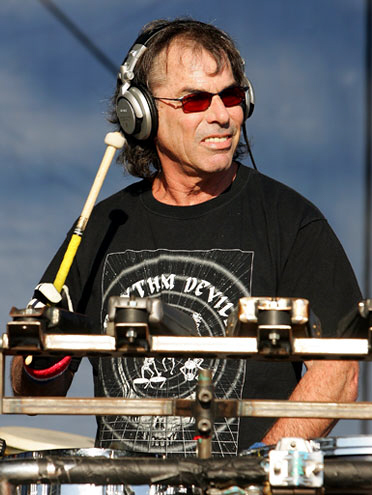 Mickey Hart, the former percussionist for the legendary San Francisco jam band Grateful Dead has never met a world beat he didn’t like. And that’s reflected in the new Smithsonian Folkways world music series that he’s curating, “The Mickey Hart Collection,” that will be released October 11. Comprised of 25 albums, the series includes music from regions that span the globe, including Sudan, Nigeria, Tibet, Indonesia, Latvia and Brazil. Listen to the albums in this series and no doubt you’ll come away having heard genres and instruments you’ve never heard before, like the ngoma, oud, bouzouki, darabukka, or the dungchen. 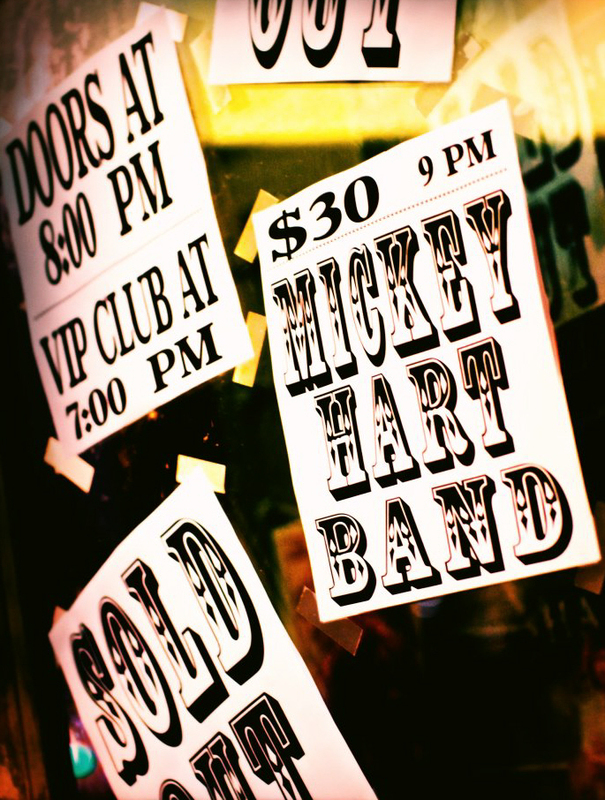 The album series includes Hart’s solo projects, plus other artists’ productions, as well as re-releases of out-of-print titles. Established during its Bicentennial celebration in 2000, the Library of Congress’ “Living Legend” award is selected by the Library’s curators and subject specialists to honor artists, writers, activists, filmmakers, physicians, entertainers, sports figures and public servants who have made significant contributions to America’s diverse cultural, scientific and social heritage. The professional accomplishments of the Living Legends have enabled them to provide examples of personal excellence that have benefited others and enriched the nation in a variety of ways. 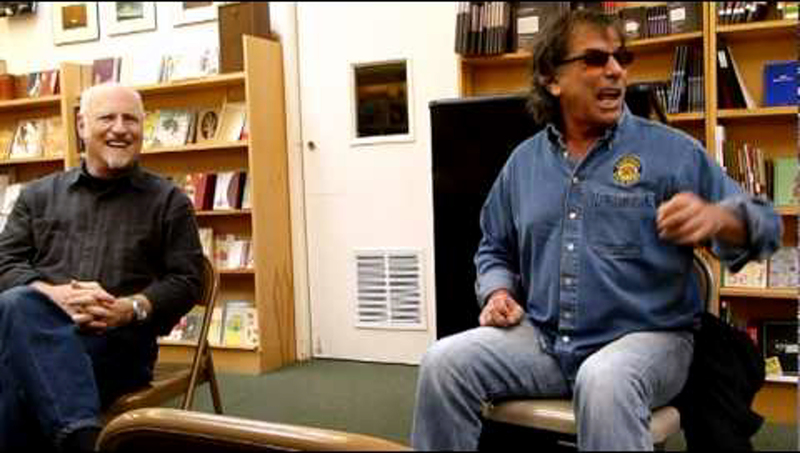 Alongside his work of nearly 30 years as a drummer with iconic rock band the Grateful Dead, MICKEY HART has flourished as a solo artist, painter, bandleader and the author of several books. 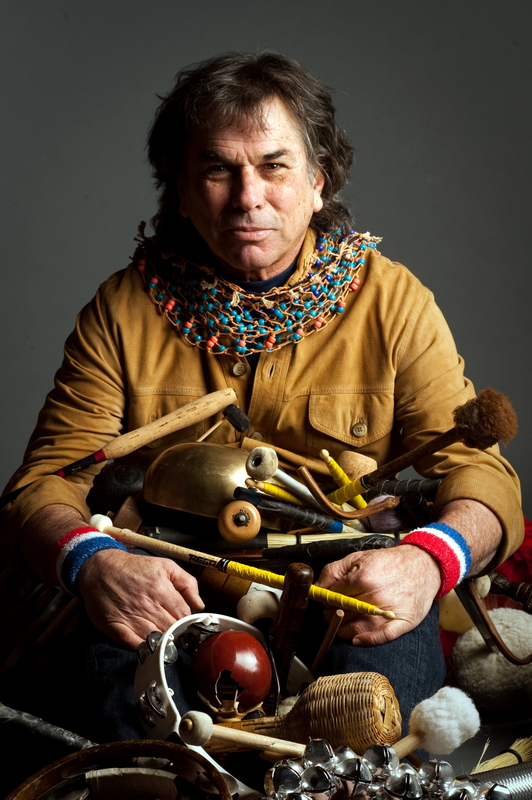 His lifelong interest in ethnomusicology, along with his travels and love of all things percussion have led him to amass a remarkable collection of instruments, and to collaborate with musical masters the world over. INNOVATORS IN MUSIC was fortunate to spend the better part of two days at Mickey’s home and studio in a remote area of northern California. Mr. Hart generously shares his thoughts about music, art, space, vibrations, percussion, the Big Bang, the Grateful Dead, and the impromptu miracle of true collaborative improvisation. He gives us a tour of his painting studio, expounds on the benefits of growing Japanese Bonsai trees, and reveals the secret foraging methods that led to his discovery of a spectacular set of petrified Redwood Deadwood. 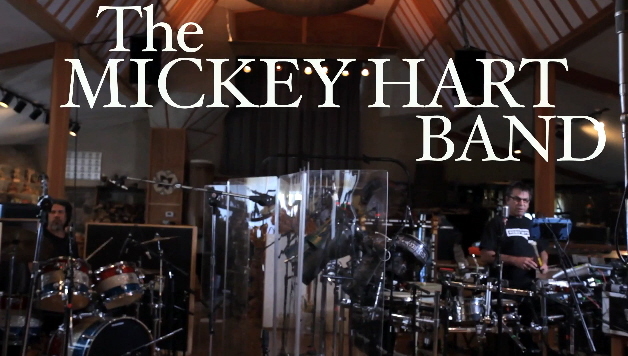 We also see his recording studio, home to the world’s largest private collection of drums. Listen and watch as Mickey is joined by Indian tabla master Zakir Hussein and Nigerian talking drum guru Sikiru Adepoju for an exclusive session of music recorded for INNOVATORS! 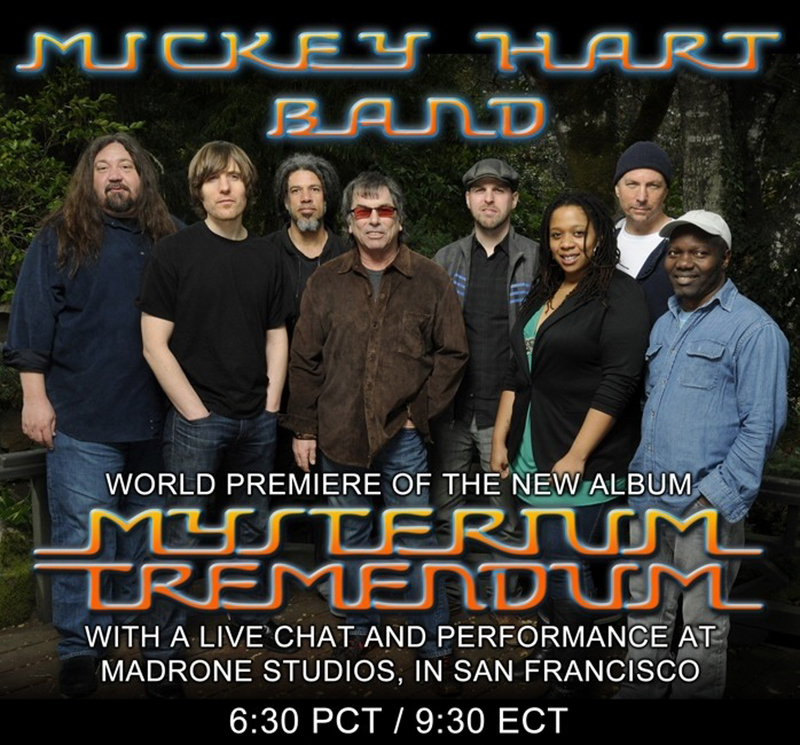 Be sure and catch Mickey Hart’s band live if you can. Check his website for dates and more information. It’s not my first time to go to see this site, i am visiting this web site dailly and get good data from here everyday.